Have been helping customers with Human resource consulting for 11+ years now. Worked on performance management both in SAP on-premise and Successfactors cloud world. It took over 2 days of thinking and more than 5-6 hours to implement this small. Hence, thought of documenting this as it might help someone looking for a similar solution. Why was it challenging to do so? 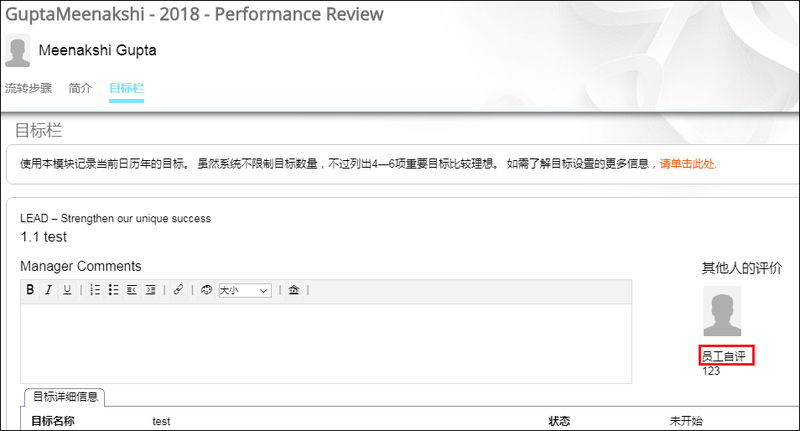 Checked XML for the performance form, as well as activated 3-tier architecture in system to see if there is a way to translate the text mentioned below. But for simplified Chinese language pack, I did not find ‘Employee comments’ available for translation changes. When stuck with such a problem, first reaction is to reach out to SAP Launchpad for assistance and I did that. They did help and directed me to add unique msgKey for “Employee Comments” in PM Form XML. Then once the msgKey is in place, translations are managed from Admin tools. 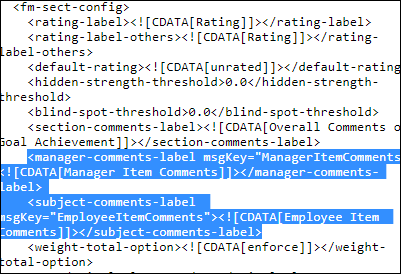 Now, the challenge was to find the syntax to add “Employee comments” msgKey in XML template. Adding this syntax in XML creates a unique key for ‘Employee item comments’ which can be used for adding translations from admin center. Step 2: Once this code is added in XML. Prepare the translation file. First translation needs to be uploaded in English language before it can be done in any other language. (i) Export form Label translation for the template. (ii) Edit the file as below and Import the file. When uploading English language translations, upload file should have only English language translation. Had to be very careful here as translation can get corrupted in CSV format. Used open text to make changes. One word of caution here: After adding translations, do not re-open the file before uploading it. 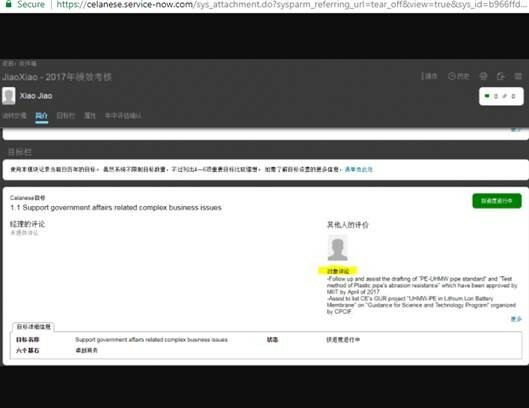 When uploading Chinese or any other language, upload file could have only Chinese language translations for the unique message key and need not have any other language translations. Test the performance document for the changes. PS: Please do leave your comments/suggestions. Very detailed and well spelled out. Thanks for sharing. Glad you liked it, Thank you for your support and encouragement!